Japan has conquered the rallying world with Toyota, Mitsubishi and Subaru, but not with a driver. Is a former Formula 3 ace about to change that? Generally speaking, racing drivers don't like being told where to go. Or how fast they should go when they get there. They chose their own lines, make their own decisions. Mavericks, with no need for a wingman. That was Takamoto Katsuta a few years ago. Second in his first season driving a TOM'S Dallara in the frontline All-Japan Formula 3 Championship, a Toyota Formula Challenge title under his belt and the 20-year-old had his ducks neatly lined up. That was 2013. A year on and Katsuta was being told where to go. Racing's not for him. He's a rally driver now. The land of the rising sun is a place with an outstanding rally history. In terms of nations, only France and Italy have produced more successful rally cars. 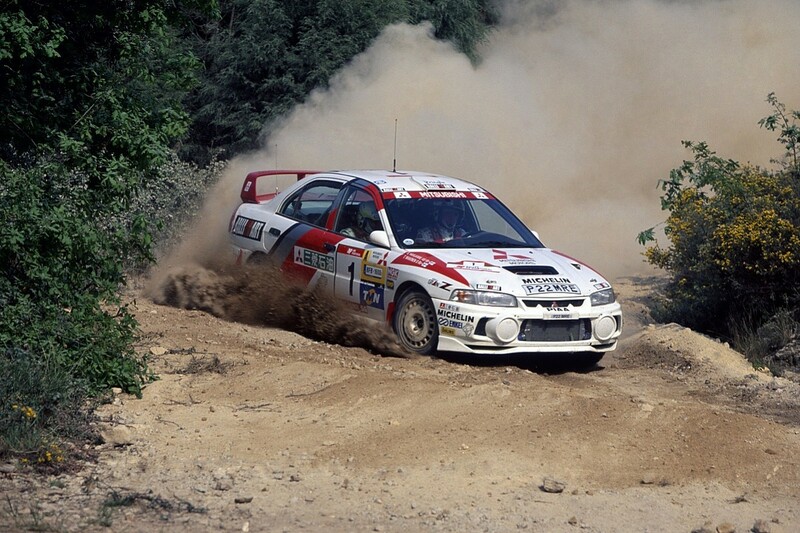 Mitsubishi (pictured below with Tommi Makinen in 1997) and Subaru dominated their days and Toyota has returned to chase - and possibly surpass - former glories in the category. For a country producing such great metal, the men haven't quite followed. It's just as baffling in Formula 1: historically brilliant engineers and engines but just one podium each for Aguri Suzuki, Takuma Sato and Kamui Kobayashi on the driving front. 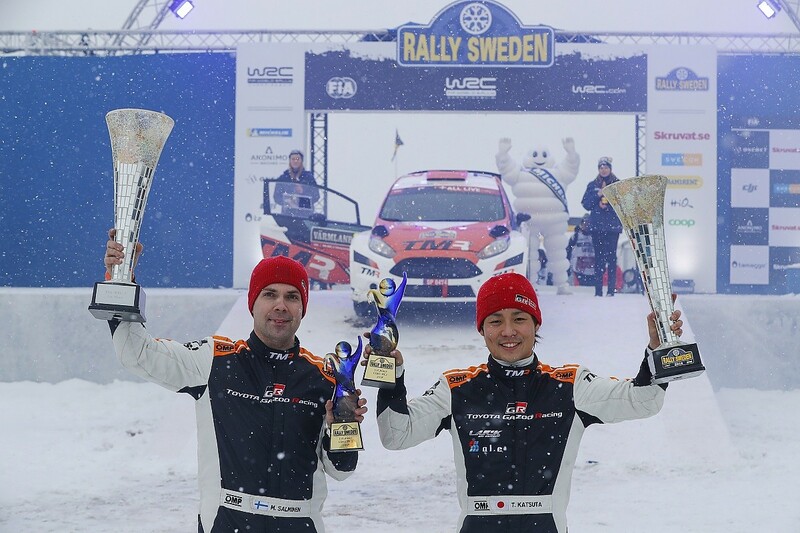 At the second round of this year's World Rally Championship in Sweden, Katsuta showed the first significant signs of being able to turn at least the muddy side of that fortune around. The 24-year-old rocked the establishment with an extraordinary WRC2 win in his Ford Fiesta R5. Out of nowhere the quiet Japanese found himself in the full glare of the spotlight. It's not often that a WRC2 drive comes close to overshadowing the main field, but Katsuta very nearly did just that in Torsby. It wasn't just that he won, it was the way he did it. He simply never stopped pushing. 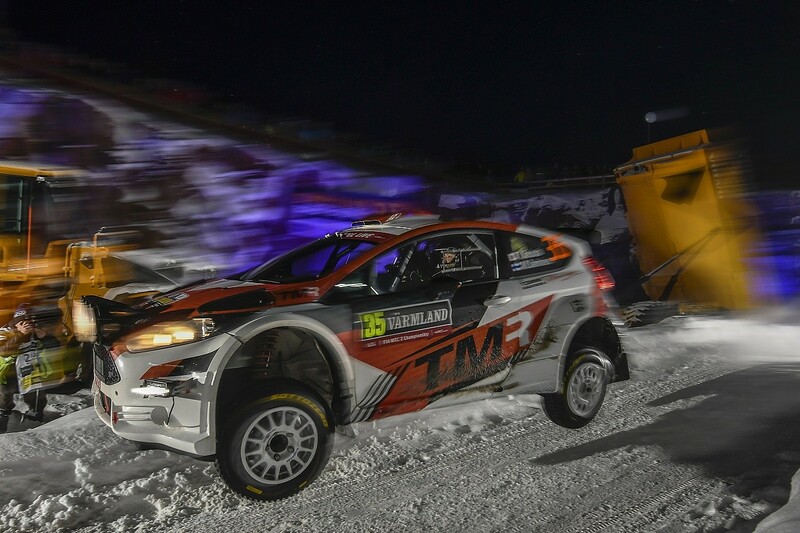 Even when just the six-mile Torsby stage remained and he held a 10.1s advantage over Pontus Tidemand, he refused to relax. "The feeling is that this 10 seconds is not enough," Katsuta told me ahead of the final stage, the biggest of his life. "He is very fast and I have big respect for him and his driving skill. I cannot slow down; I need a big push in here." There was undoubtedly an element of Katsuta trying to out-psyche his opponent, but at the same time you really got the feeling that even he couldn't believe what he'd done. And that he was still doing it. The former F3 racer was fully deserving of the praise and applause that came his way soon after the stage. He's come a long way from Aichi, the region of Japan just east of Toyota city, where he was born and brought up. He now lives in Jyvaskyla, home town of Rally Finland. It's fair to say, F3's an increasingly distant memory. 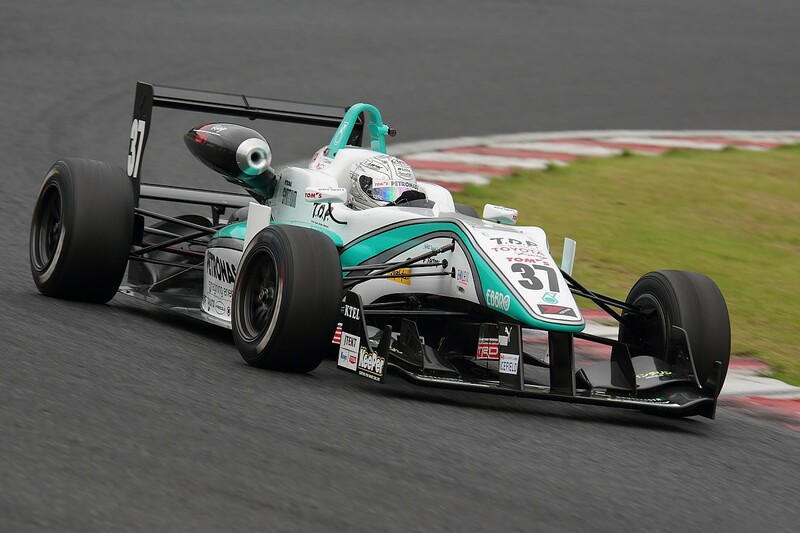 "In F3, lots of drivers were pushing and pushing for Formula 1 and this was going to be difficult," Katsuta says. "Racing was good. I started karting at 12 and became a development driver for Toyota and Yamaha in my last two years [in karting]. Then Formula Challenge and F3, but then it was difficult. 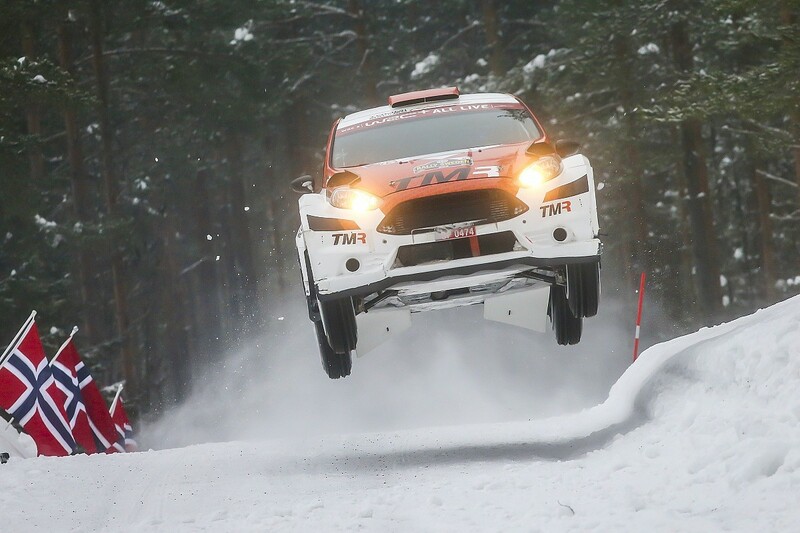 My father is a rally driver, so I looked to rallying." And his father's not just any old rally driver. 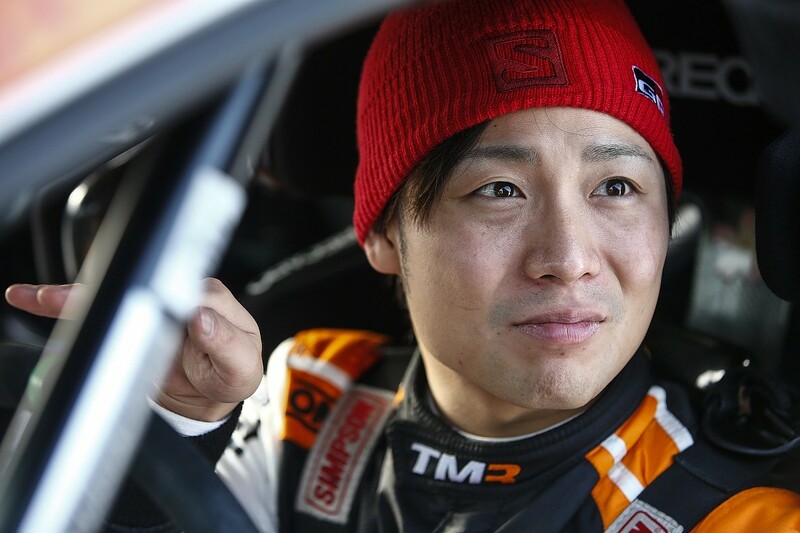 His father is Norihiko Katsuta, a man who sealed his eighth Japanese rally title last season. By this time Toyota's intentions had become clear in rallying and the search - instigated by Toyota Motor Corporation president Akio Toyoda - had begun to find a Japanese driver for his Japanese car. The third and final piece of this Japanese jigsaw will be the return of Rally Japan to the WRC calendar, something many are hoping could come as soon as next season. "From when I was young, I wanted to go to world level in motorsport, not just in Japan," says Katsuta. "My dad had the same idea, he wanted to go to the top level, but the timing wasn't right for him. "But now I am coming and I have some big dreams from my dad. This is when I saw the news of Toyota's Rally Challenge Programme. This is when I said: 'OK, now I must go rallying.'" Katsuta was signed up alongside the son of another famous rally driver, Toshi Arai's boy Hiroki. That was 2015 and, towards the end of that season, Katsuta made his rally debut outside of Asia. There was a promising seventh overall on the Turku Rally in Finland, but the Tommi Makinen-run Group N Subaru Impreza ended up off the road on the next two events. In that first season, Katsuta was co-driven by three people, all Japanese. Given rallying's Euro-centric nature, he was encouraged to take a European navigator. Enter Dan Barritt. Burnley's finest had just parted company with Elfyn Evans and was looking for another seat. Turning Japanese was nothing new for Barritt, who had already worked with Fumio Nutahara and Toshi Arai. The difference was, however, those two were well established in their rally careers. Katsuta was anything but. "The biggest problem we had when I started with him was the pacenotes," says Barritt. "Nuta didn't speak a huge amount of English, but the difference with him was that he could make the notes. "Taka was struggling with the notes. He'd had some training, but it was very, very basic stuff. We started out with a number system of one to five for the speed, the distance to the next corner and some basic descriptions of the corners ahead. "It was such a difficult time for him, he was so green. There was so much for him to learn and if he didn't understand what was going on, we were just going to crash. "It's fair to say there were some pretty dark times early in that year. He didn't have enough information in the notes about the speed, we were always looking to create extra words. He had to learn to drive slow before he could learn to drive fast. It was tough." But there was progress. And fewer crashes. Barritt, of course, returned to Evans's side for the 2017 season, but admits he'd seen enough of Katsuta to understand the natural talent was there. "He came on in leaps and bounds through 2016, and when everything was working, you could see he was a good driver. He had a great memory, something which comes with starting out on a circuit, but we were trying to take a driver from a single-venue [rally] to becoming the next Sebastien Ogier." Katsuta understood the 2016/17 off-season was make or break. He went back to Japan and thought about his options, before returning to his base in Jyvaskyla to redouble his efforts. "He got a new co-driver [Marko Salminen] and they worked so hard on their notes over that winter," says Barritt. Salminen's Finnish influence is increasingly obvious in Katsuta's notes these days. "We have some Finnish words now," says Katsuta. "We have 'ajaa', this means push. But we also have some Japanese words like 'mizu', which describes wet, slippery conditions. These words are good, they're short and easy to understand." Katsuta and his co-driver are clearly on the same page now. Their pace in Sweden - and their consistency of speed - was as exceptional as it was surprising. "I don't think anybody saw that coming," says Barritt. "But I'm so pleased for him. He's worked hard and to come from where he was, he deserves this." Katsuta is, however, more interested in where he's going. "I have to focus on the world," he said. "That's where I want to be champion." Makinen and Toyoda have shied away from talking about giving him a seat in a Yaris WRC, but that moment can't be far away if Katsuta can back up his Swedish pace on the remainder of this year's WRC2 rounds.